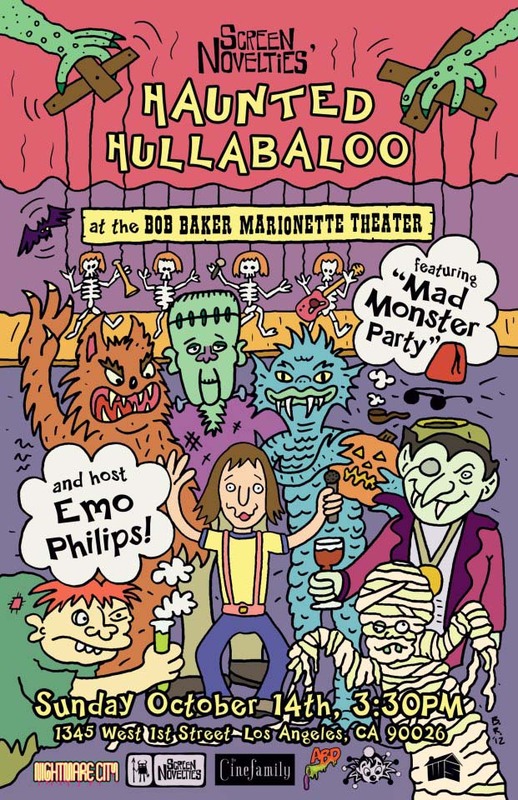 Description: In association with the Cinefamily's month-long "Nightmare City" series of Halloween events, the Bob Baker Marionette Theatre presents this Haunted Hallabaloo, hosted by comedian Emo Phillips. The afternoon's entertainment includes cartoons, short films, perfomances by the Bob Baker Marionettes, and of course a screening of the 1960's Rankin-Bass film "Mad Monster Party," which features stop-motion incarnations of your favorite movie monsters: Dracula, Frankenstein, the Wolf Man, the Mummy, the Invisible Man, and more. Tickets are $18. Members of the Cinefamily get in free. All proceeds benefit the Bob Baker Marionette Theater. Note: Throughout October, the Bob Baker Marionette Theatre presents a series of Halloween-themed performances on weekends. 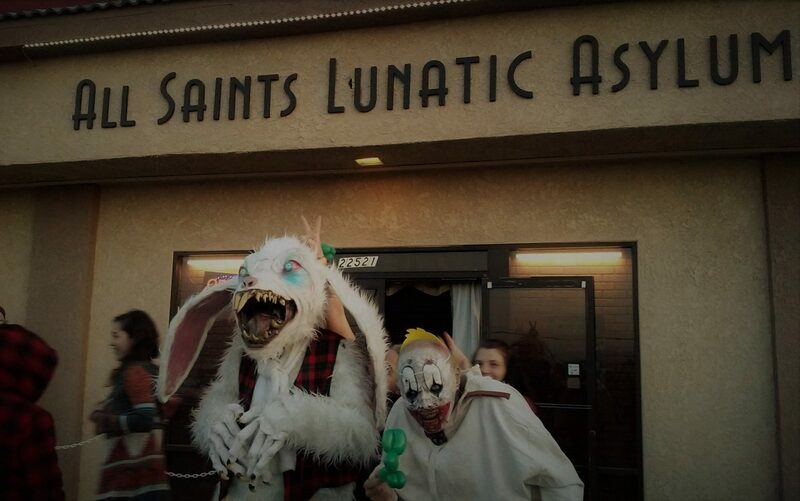 Performance times are 2:30pm on Saturdays and Sundays. General admission is $15; children under 2 are free. Call 213-250-9995 for reservations.